My wife surprised me with this kit for X-mas 2008. Very nice kit to build, and it's fast, very fast straight out of the box. 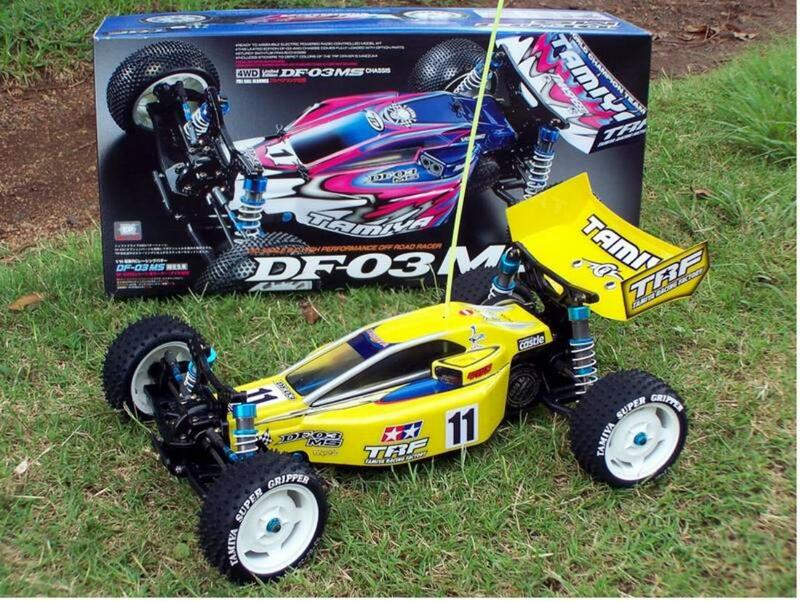 Destined to be my new racer buggy for the 2009 season. The MS kit saves about $150 or more in hopup parts over a Dark Impact kit. The body is sprayed in my own special mix of yellow with 3 colours of metal flake (red, blue and silver). It really is difficult to look at in direct sunlight. 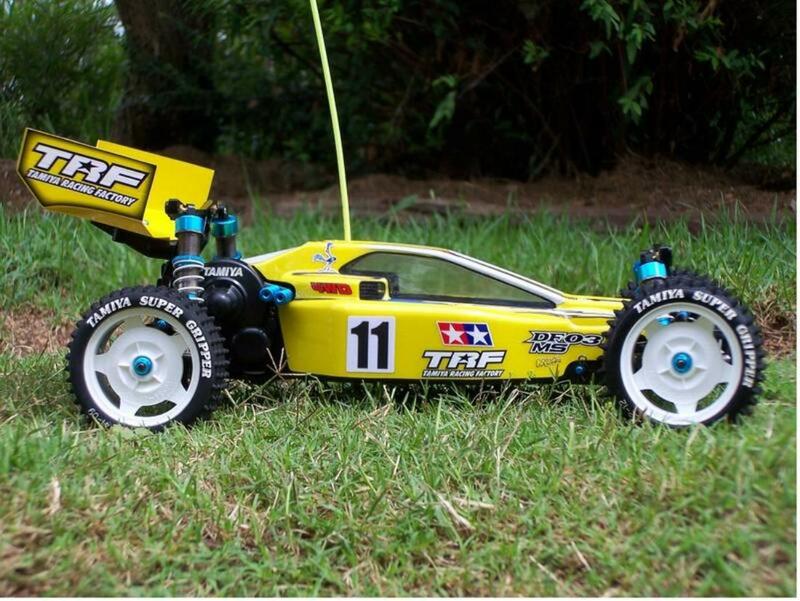 As the kit doesn't come with tyres I went for the Top-Force spikes which offer great grip on my slippery dirt track. Decals are a mix of the DF-03 MS, Dark Impact and my own printed on white vinyl (Sorry Maezumi, but the pink decals are gross). I'm working on an interior set to complete the buggy look. Driver with helmet, torso and arms, steering wheel and inner rollbar that clears the driveshaft and steering links, and doesn't adversely affect cooling of the ESC or motor. **EDIT: This model has retired the season early due to alloy mainshaft gear wear. Four mainshafts later (and steel pinion shows no signs of wear) it's been cleaned, electrics stripped out for another vehicle and it's now sitting on the shelf as a display. 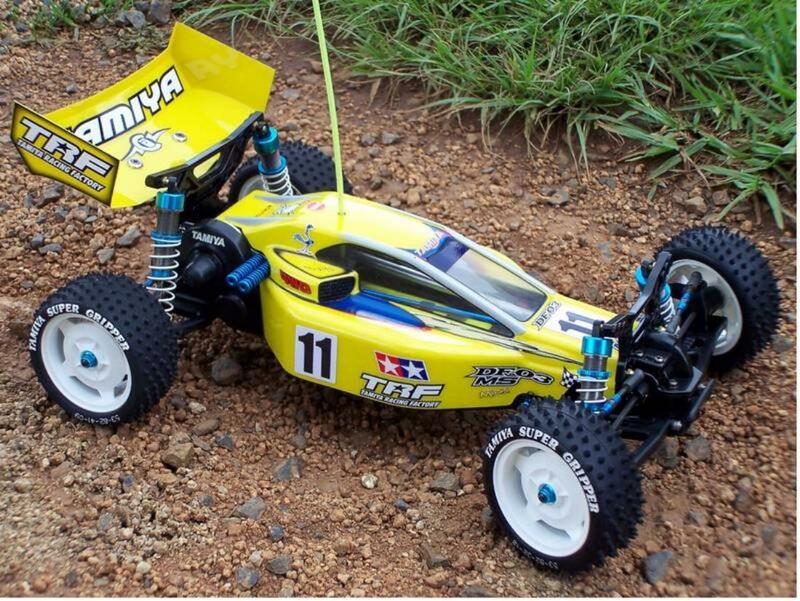 I will never drive this buggy again until Tamiya release a steel mainshaft gear or someone else can produce them. Quite a waste of money really! 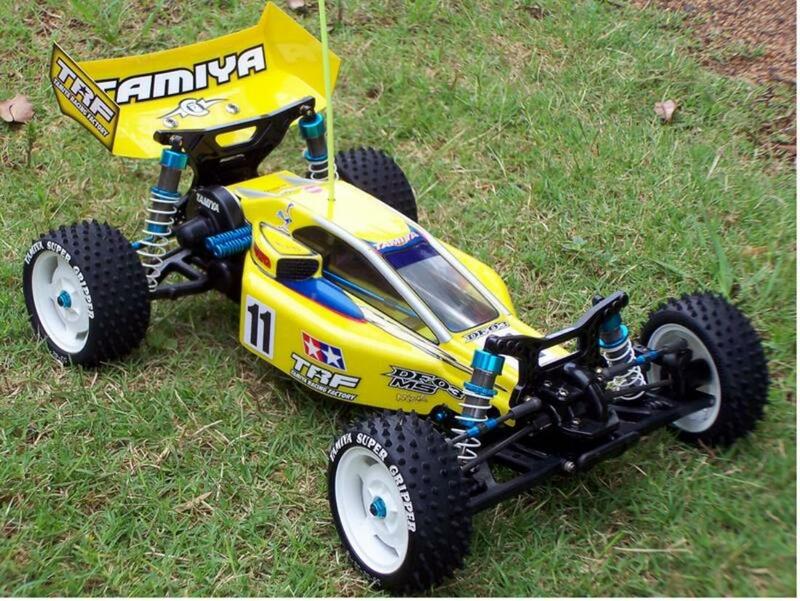 Come on Tamiya... NO MORE ALLOY GEARS!! If you want a sealed shaft drive buggy that will last, buy a different brand or look at the older models. 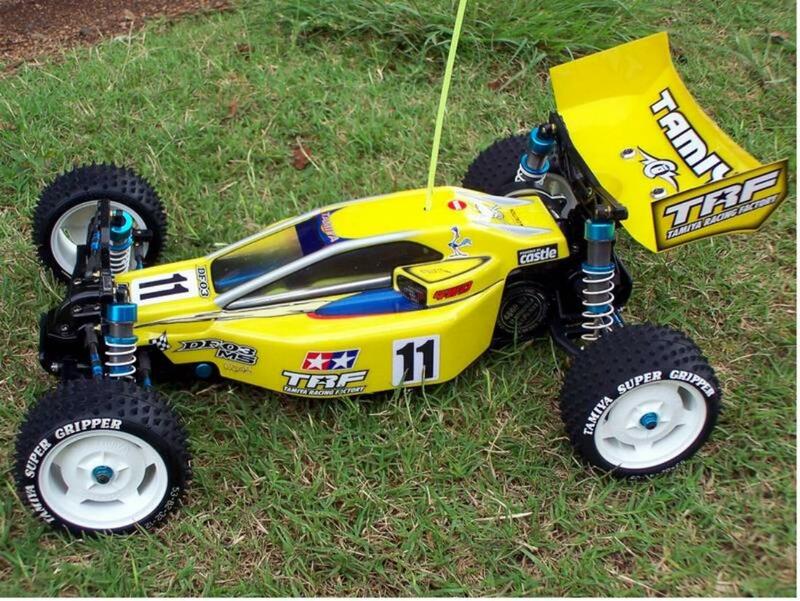 I'm now racing my older Top Force chassis'd Blazing Star again. The DF-03RA I was going to buy can stay on the shelf as it too has this same alloy mainshaft gear. **EDIT: Five Stars make a steel mainshaft with a steel gear. Part number FS-7038 for a standard shaft and FS-7039 for the slipper shaft. These shafts seem to be rare as hen's teeth and I've only managed to get my hands on one shaft so far. They do however solve all of the gear wear problems. Bad form on Tamiya's part... they should never have fitted the alloy gear in any of the DF03 models. For a company that usually has very high quality standards, the kit and hopup mainshaft are pure junk. 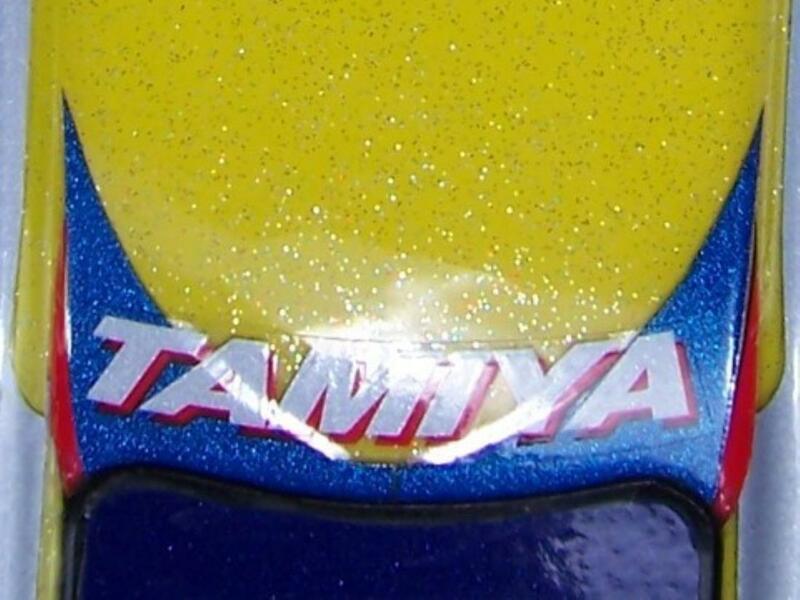 Tamiya themselves need to start producing the same part that Five Stars make to rectify the problem. I would not recommend the DF03 to anyone. 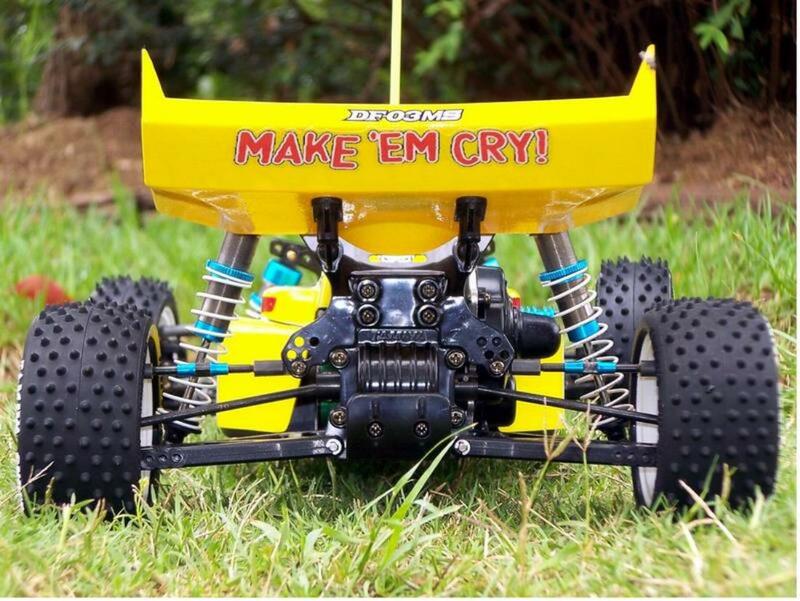 If you need a fully sealed shaft drive buggy, buy the older DF01 (and a pile of upgrades, but no slipper clutch available), or if you want brushless power, buy a HPI Cyber 10b. The DF03 has reliability issues in my experience with the 3 that I own. **EDIT: The DF03MS is now sold. I've never sold a model before, so this is a first for me. Glad to see the backside of this money pit. **EDIT: I've bought this model back again. 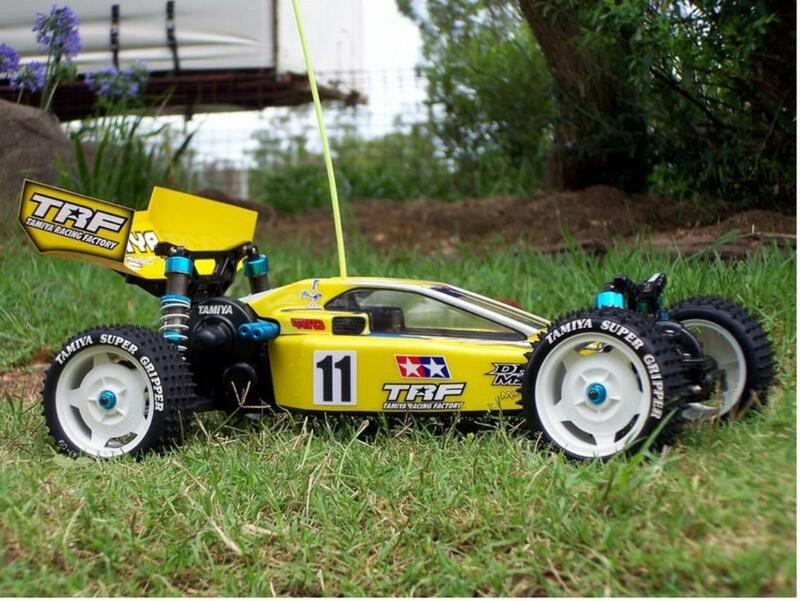 The guy I sold it to got out of RC and I paid less for it than I sold it to him for and he only drove it once. I also managed to get a Five Stars FS7039 slipper mainshaft for it so no more gear wear. So it's back in business and problem solved. Beautiful Stance. Vents removed and replaced with mesh. No body post holes. Looks fast sitting still. Heatsink bars out where they can get some air. Should say 'Make Me Cry!'... Three colour metal flake. Red, Silver, Blue. Neat wiring with heaps of room in the tub. I check out your web site, and I must say this thing is awesome. Im currently looking into getting one of these soon. 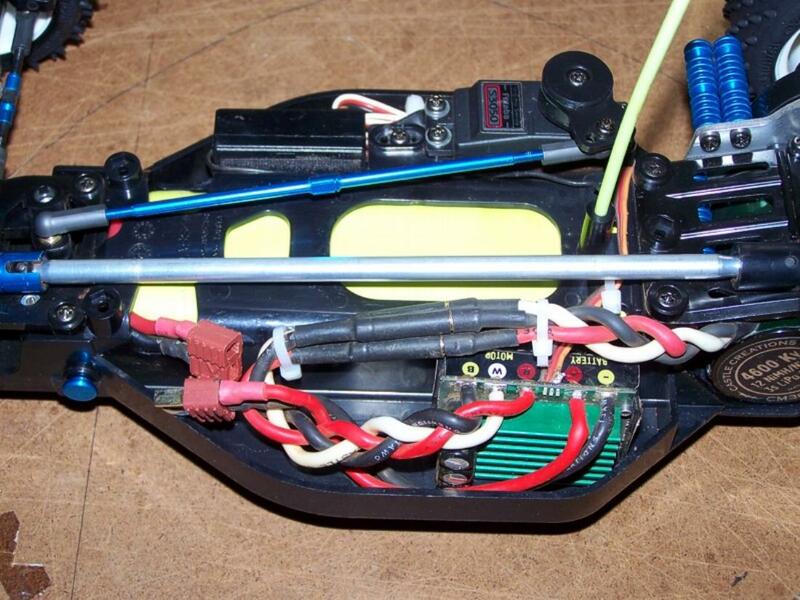 Since I can't race nitro here in Iraq, Im going to go brushless. And this is first pick. Hi. I can advice that I have a custom layshaft for this, that was made by RWRACING as a custom order. There was a user on the forum here that had a batch done ca. 2006. It fits a RC10B4 slipper clutch assembly and is made from steel. Maybe someone could have another batch done. I had contacted RW Racing last year to see if they would do another batch of shafts and was told they wouldn't. I also emailed Tamiya about the shaft wear. That email remains unanswered. Hi Mark any news on the pars follow-up ?. Trying to source these parts as well . 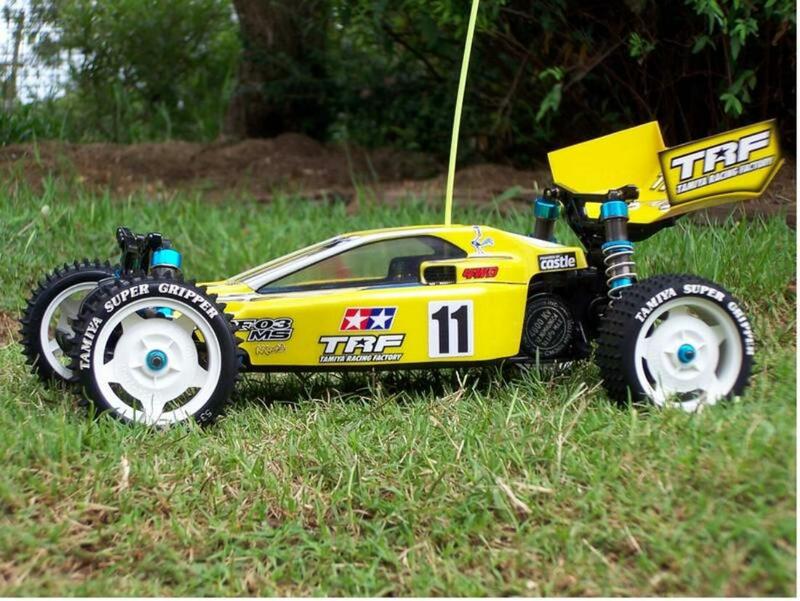 I got some from RC Champ (site sponser). They get them in from time to time. The Five Stars part (FS7039) is still very hard to find outside of Japan, and hard to find in Japan.